We are here to serve the needs of our community and their families. 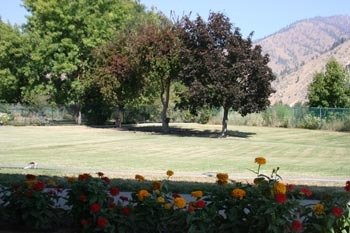 We are a small, family-owned facility in a beautiful town with a positive and healthy population. Cashmere is a place where citizens believe in contributing to a community. Cashmere Convalescent Center employees reflect this committment in their care. We believe that care for our aged contributes to each of us personally and thereby contributes to our community. We believe that respect and care should not diminish with age. We believe that we can provide truly exceptional care because we openly welcome residents to our family. Permanent staff Dietician for personalized nutritional needs. An activities staff that provides residents with a variety of daily recreational offerings to enhance living or speed recovery. Office support to help with complex billing questions and assistance for Medicaid, Medicare and insurance. Sixty-six skilled beds certified for Medicare and Medicaid.